I hope you all had a great long weekend at the pool or the beach while eating lots of ribs and burgers! I am happy to say that my weekend was just the opposite. It was water-less and rib-less and for whatever reason, I was quite content. It's just a great book about a journey to self-discovery, life lessons, love, friendships- oh and fashion, lots of good fashion! Katie beautifully describes the characters' wardrobes and references tons of real people and real designers. That sucked me in even more. So if you need a good book to read by the pool, on the beach or in a big cushiony chair in your home (which was my scene), then buy or download this book today! Let me know your thoughts if you have already read it! 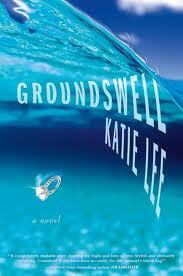 Glad you liked Groundswell! Thank you :) RT @SavorHome My new favorite book by @KatieLeeKitchen!! A MUST READ!" I love a good book. I am always glad when a book interrupts my plans because i still feel like i accomplished something. I am always on the search for a good book. Thanks for sharing! Thanks for sharing this! we leave for vacation next week and I was just telling my husband that I have nothing to read!! Well now I do!!! i've been looking for a great new book--i think i'll pick this one up today! thanks, tiff! 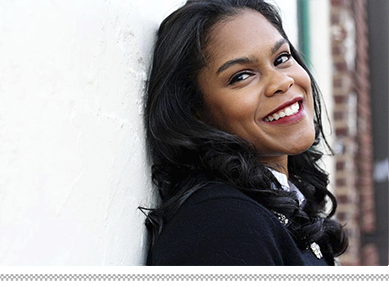 Thanks for sharing this find...I heart Katie lee and will be going to get the book today!! Happy Tuesday!! Perfect timing, Tiffany. I was just thinking I need a new book to take on my upcoming vacation and after your review I think I need to read this one. Thanks for the tip! This sounds like a great book. Did you like Bethenny's book? I adore her! Thanks for passing on a great read. OOO I am going to order this now! Thanks for the suggestion!